Foam Bamboo Orthopedic Seat Cushion Just $26.97! Down From $70! You are here: Home / Great Deals / Amazon Deals / Foam Bamboo Orthopedic Seat Cushion Just $26.97! Down From $70! Amazon is having a great deal on this foam seat cushion! This item has the highest quality bamboo charcoal infusion which not only absorbs all the natural smell in the vicinity, but also provides superb ventilation ability! It’s great for people who have back pains or having trouble sitting comfortably. I’d like to have this! 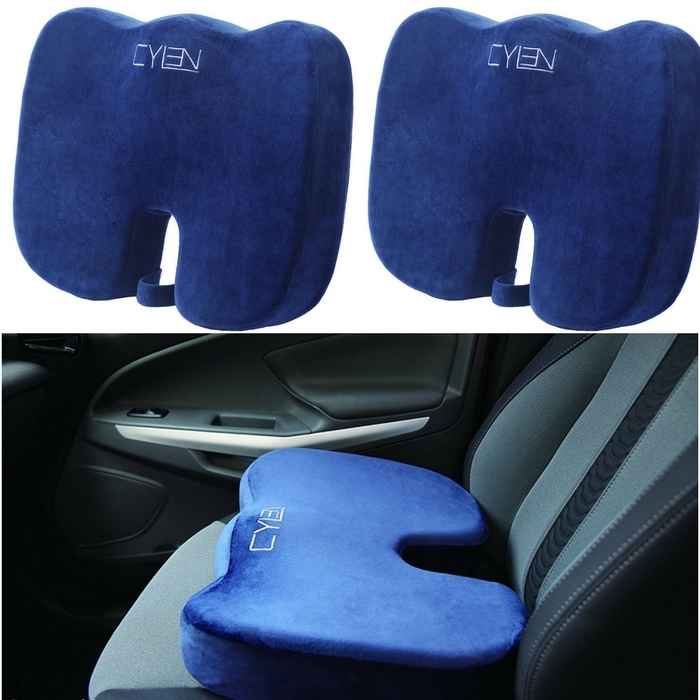 Cylen Foam Bamboo Orthopedic Seat Cushion is now on sale at Amazon for just $26.97 down from $69.99 PLUS FREE shipping with Amazon Prime or for orders over $35!